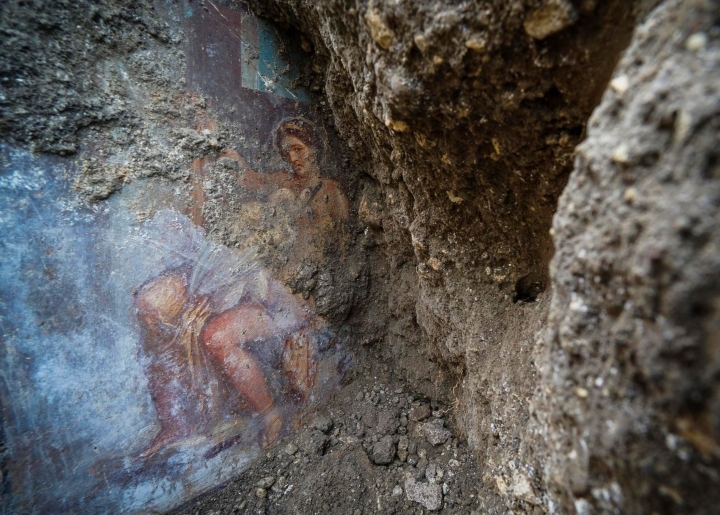 ROME — Archaeologists have found in an ancient Pompeii bedroom a fresco depicting a sensual scene of a goddess and swan. But he praised this fresco as exceptional since the goddess appears to look at whoever's looking at the fresco. Osanna said "Leda watches the spectator with a sensuality that's absolutely pronounced." The fresco was discovered Friday during ongoing work to consolidate the ancient city's structures after rains and wear-and-tear in past years caused some ruins to collapse.